The Trash Doctor of Colorado offers full service junk removal for both residential and commercial properties. Our Experienced and friendly junk removal team can handle any size job and a wide variety of items and hauling requirements. We can remove almost anything non-hazardous as long as we can access it. The Trash Doctor offers our services to your home or business including offices, retail locations, constructions sites and more. Give us a call today to get started. We can help you remove junk or garbage from Evergreen, Morrison, Denver, Westminster, Northglenn, Littleton, Boulder, Golden, Conifer, Englewood and surrounding areas. We make the entire process extremely easy for you. When we arrive to your property, just point to the junk and trash that you want to disappear and we will do the rest. The make the process even better for you, we’ll finish by cleaning up the area to make your new space useable. You can trust the Trash Doctor of Colorado to do the best job possible in shortest amount of time. Get StartedThe Trash Doctor makes your junk disappear! The process is simple. We sort through your items and separate items to recycle, donate and dispose of responsibly. Our team will load your items into our truck & let you enjoy your space. We do everything by providing the the truck, the team and the experience to make your junk disappear. 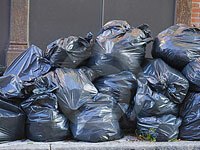 Our team will remove your junk, trash and recyclables your property. We are the local trash removal experts. We remove trash and junk from Evergreen, Morrison, Denver, Westminster, Northglenn, Littleton, Boulder, Golden & Englewood Colorado. © 2019 The Trash Doctor of Colorado. All Rights Reserved.